Opera, a small Web browser from Norway most well-known for its mobile version widely used on smartphones, is apparently gaining some ground for browser market share. Following the launch of the Microsoft browser ballot in Europe--the result of an agreement between Microsoft and the European Commission to expand browser choice for users and end an antitrust battle--Opera is on the rise. A press release on the Opera Web site quotes Håkon Wium Lie, CTO of Opera Software, stating "This confirms that when users are given a real choice on how they choose the most important piece of software on their computer, the browser, they will try out alternatives," adding "A multitude of browsers will make the Web more standardized and easier to browse." 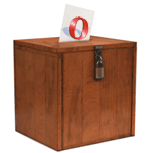 Microsoft offers a total of 12 options in the browser selection ballot, including Microsoft Internet Explorer (IE), Mozilla Firefox, Apple Safari, Google Chrome, Opera, Sleipnir, Maxthon, FlashPeak Slim Browser, GreenBrowser, Avant Browser, Flock, and K-Meleon. Of course, most users are only familiar with the first five. The Opera statement claims that downloads of Opera 10.5 have more than doubled since the introduction of the browser ballot for Windows in Europe. Broken down by country, Opera has actually more than tripled downloads in Poland, Spain, and Italy. Microsoft has lost some ground since introducing the randomized browser selection ballot--a testament to the effectiveness of the ballot in making users aware of alternate browser options and letting them choose. One thing that is missing from these results is which browser is ultimately used the most. Users have the choice to select a browser aside from Microsoft Internet Explorer as the default browser in Windows, and that choice may lead to increased initial downloads for alternate browsers. However, after dabbling in alternate browsers, many users may ultimately return to the top three and ultimately rely on Microsoft Internet Explorer, Mozilla Firefox, or Google Chrome for day to day Web surfing. To be fair--being fifth out of the top five browsers and occupying less than three percent of the overall browser market make it much simpler--and less impressive--to double or triple downloads. Double or triple of next to nothing is still next to nothing. That said, Opera is a very capable Web browser that many users are not even aware of. Recent tests showed that the most recent version of Opera, Opera 10.5, takes the crown for fastest. Opera blew away the competition, beating Google Chrome--which is designed from the ground up for speed--by 20 percent. Both Opera and Chrome may see increased adoption in Germany. A few months ago, following the discovery of an Internet Explorer zero-day exploit that was used to launch attacks against Google and other companies in China, the German government recommended everyone abandon IE. Now the German government is strongly recommending everyone drop Mozilla Firefox as well in response to a recent critical security flaw. I don't recommend following the guidance from the German government, though. All browsers will have security vulnerabilities, and IT administrators can't be expected to uninstall and switch browsers in a business environment every other month as a defense against those flaws.